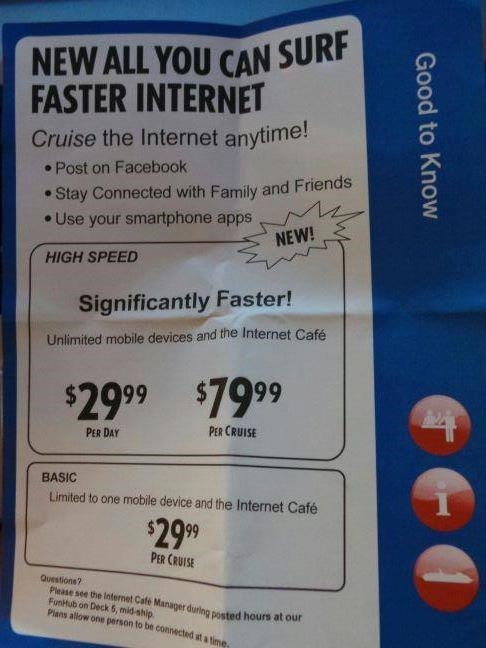 Just found out that the Unlimited Internet has been made available on a new ship. So here is hoping that it sells and we get it on all ships ASAP. This entry was posted in Travel and tagged Wow. Bookmark the permalink. Is this just for Holland America or a specific line? When is your next adventure? I enjoy seeing the world through yours and Jeff’s blogs. Wow, where did you see that? That would be awesome!!!! We need to keep on top of that. Is it on all cruises? Interesting.. technology now is far advanced! Nope just one for now that I am aware of.